It was time for a fresher feel to the Blogmistress, especially after seeing the earlier woman on a few too many other sites – one of the perils of using stock images. And even this new woman above will be seen elsewhere – she’s another stock image but one less widely used (so far). So why have we still not had our own logo created? Well partly to just get it done and out there, to fit in with everything else going on and shamefully not allocating the time to work on the Blogmistress, being too busy working in the business. Because it takes time, finding a brand that fits. We know of several wonderful graphic designers and they have been such a help when looking at our own branding. But yes, again I did that thing that has me tearing my hair out with some clients (much as we love you all) – got on and played with the image software. I am not a designer and struggle to bend even the simplest design software to my will (it would probably help to get some training, but there are others that are already brilliant and I’d rather work with them for client work), and yet I have a little knowledge – that dangerous thing! So I had a play and came up with the header above, making use of the WordPress logo and colours on a simple theme created with some wonderful new software just launched by our favourite geek, Kezz. Why have we not used a premium theme? 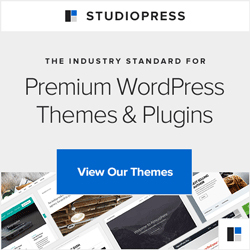 Well we like to keep it simple and too often the premium WordPress themes, while wonderful and great for some sites, just add more than we really need. The Blogmistress needed a website and of course we wanted to play with the new toy too (we’ll be using it a lot for clients’ themes – it is just what we needed).